A little summer spice to cool you down in a fashionably refreshing way. Combine the ingredients into a cocktail shaker and fill with ice. Shake for 10 seconds to chill the cocktail. Strain the cocktail into a rocks over glass. 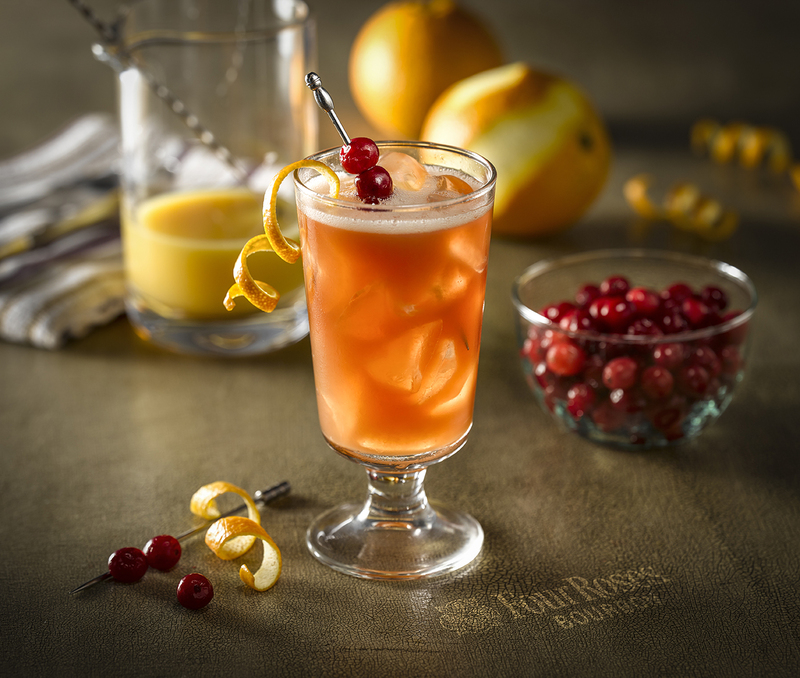 Place a fresh sprig of rosemary, speared cranberries and an orange wedge into the cocktail.